People who end up changing the world, for better or for worse, rarely follow the rules. We believe you’re familiar with our fascination for those who lead double lives professionally, which we explored through the lives of different individuals across India. These are the guys burning the candle at both ends and doing a fine job at it. Then, there are those who choose to go off the deep end and vouch completely and irrevocably for their dreams (and no, they don’t get much sleep either). For these dreamers, we have another kind of respect, albeit an equally special one. It takes immense courage—and a healthy dose of madness—to put an end to what is potentially a financially stable life to pursue your real calling. So we scoured the space for individuals who have, at different points in their lives, taken a step back and re-evaluated what their dreams meant to them before deciding to throw their entire weight behind them. We understand that it isn’t a viable prospect for several people when you consider the financial risks at play here, besides other factors weighing in that range from providing for one’s family to dealing with student loans. While following one’s passion comes at a high price for a lot of people, it is good to know that people are learning to give their kids the opportunity to do more than the cookie-cutter Doctor-Lawyer-Engineer bracket of jobs. Without further ado, here are ten individuals who have truly followed their hearts, and won us over while at it. I. Sonia Thiyam | Creative. Optimist. Trusting. A doctor by profession, Sonia dropped the ‘Dr’ before her name to enter a space where she truly felt she belonged. Her passion lay in fashion and beauty and today, she’s a blogger that left the world of medicine behind to earn her keep in the field of her real desire. Her page, Sheer Vanity by Sonia is a visual ode to all things stylish, aesthetic and beautiful, and she’ll soon be venturing into fashion design. “In terms of my life, I draw inspiration from my family back in Manipur, who went through a lot to give me a good education in different metros of the country. I will never be able to repay that debt, but I always keep them in mind for whatever I do. “Being a doctor is considered a noble profession, but my heart was never in it. I never felt like it was my calling, I was only Dr Sonia because my parents were hell bent on it. I’m almost the black sheep of my family because I’m literally the only non-doctor in my house now. I’m not a person who opens up easily, but when you ask me about fashion, I can talk a mile a minute. Being a blogger has changed me as a person, I am now more open, can talk to even more people because I truly love what I do. The eyebrows you see on my face are literally tattooed on, I have none. When I was 12, I started filling in my eyebrows because I was pretty insecure about how I look. That’s where my love for beauty grew in leaps & bounds. I worked on this, entered contests & practiced watching youtube tutorials. I started with this & then posted my first youtube makeup look. “The most challenging part was when my parents literally went ‘WHAT HAPPENS WHEN NO ONE FOLLOWS YOU ANYMORE? HOW CAN THIS LAST WHEN YOU’RE OLD?’ They were not willing to listen, I wouldn’t be either if my kid came up to me and said sorry for all the money you spent educating me about the human body and ways to heal it, but I want to wear nice clothes and take photographs - but I made them understand that it was my passion & it was important too. My family is my greatest support system. Even though you could say they had a traditional mindset, they’ve opened up wonderfully to me being a blogger after they saw the success (Indian parents I tell you!). My siblings are there for me like the Great Wall of China, standing strong through every small or big issue that comes my way. I had to think so much about how I would earn enough just as a blogger, so for a year or so I kept my clinic gig too. When I was sure enough that the money would come because I was putting in the hard work, I decided to fully quit medicine and changed fields. I don’t think I’ve ever heard my heart thump so much. I know this is not ideal but please make sure you have some money saved up, always! I know dreams and all sound amazing, but make sure you have a plan B JUST in case. Hard work & consistency will take you places that talent can’t even imagine exists. Check out Sonia’s blog here. II. Sandeep Sreedharan |Fearless. Blunt. Honest. 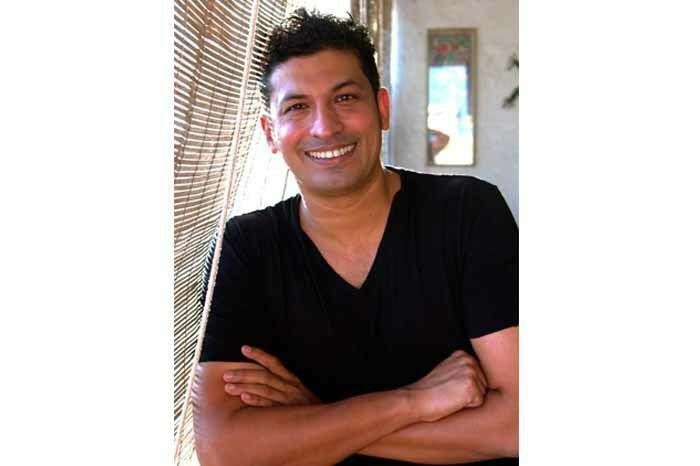 Sandeep left his Senior Management job with a consulting firm after 15 years to pursue his passion in the culinary world. Under Esca Brahma, Sandeep works as a Private Chef , a dining outlet in Khar West called Curry Tales, which he plans to soon branch out as well as three more concepts across the spectrum including a coastal cafe coming up next year – this is when he isn’t busy travelling and collaborating with chefs across the world. “I used to head the strategic initiatives for a consulting-led solutions business company and worked with them for almost 10 years. I used to feel like that fallen coconut in a river, which is getting carried along as the tide changes waiting for a place to get washed away and sprout! Ironically my rebranded logo has sprouting coconut as a part of Esca Brahma logo, which is also symbolic of the coast, the food I am specializing in. A sprouting coconut is a powerful statement of existence, creation and perseverance. “I didn’t have any support system when I quit my job, in fact, I moved into a larger apartment with a 40% higher rent to support my business. My dinners were the main cashflow to my sustenance and of course, it’s not easy. Though I have my friends and relatives supporting me in various instances to manage the cash flow. Most importantly, I built a network of very successful people around me who constantly advise, direct and support me unconditionally, which is the biggest support system I have had till date and it continues to do so. “Focus creates clarity, clarity creates direction. You need to have a definitive direction and create many revenue streams in that same direction. Whatever you learnt and experiences you’ve acquired in the past is a goldmine and you really need to dig in deep and create parallels. How you create that parallel and monetise your past experience is the key to maintain a positive cash flow. For more information about his work check out Facebook and Instagram. III. Nayantara Kochhar | Tenacious. Independent. Adventurous. 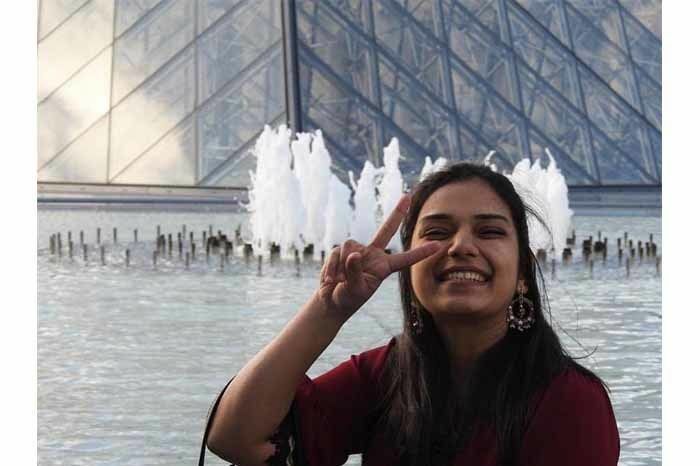 For six years Nayantara worked in the corporate HR industry with two of the largest Indian companies before deciding to venture out into the big bad world of entrepreneurship. She followed her corporate career with setting up a design firm called Auraz Design based in Bangalore in 2015. Working to curate and design one of a kind lifestyle accents and furniture for all kinds of spaces, Nayantara has had an interesting, at times bumpy journey, but has never looked back. 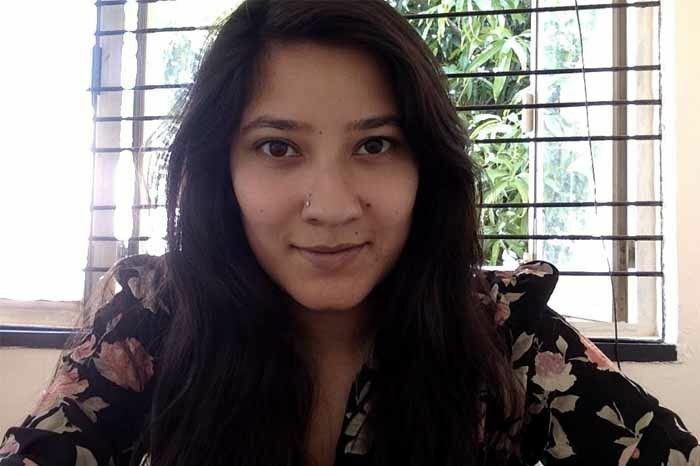 “I was fortunate to have worked with two of the most respected Indian corporate houses and built a career in HR but after a few years, I yearned to not have to get to work at 9:15 am and clock in my 8/9 hours and be stuck in a rut of a steady income. I needed a creative outlet, a job that really challenged the daylights out of me. I decided to quit my job 3 weeks before I was to get married. I had absolutely no idea what was in store. The only thing I did know was I had said goodbye to the corporate life - forever. I knew long ago I was done working for others. If I wasn’t going to be adventurous, take some serious risks, I’d only have a pile of regrets by the time I turned 30. So I gave myself 3 months to narrow down an area I’d like to explore and the only thing that I kept coming back to was Design. And something to do with home. That’s how Auraz Design came into being. “My very supportive husband and a family that just wouldn’t let me give up. My friends, despite being a bit shocked and surprised at me quitting my job were also a huge support. Their honesty and candour always reminded me to plant my feet firmly on the ground, and always know that if all else fails, we can always have a good laugh about my entrepreneurial spirit (or the lack of)! I must give full credit to my puppy too, who helped brighten our dull days when we first got our own office. He was the Chief Happiness Officer and took his job very seriously! I think the biggest sacrifice is the one nobody warns you about when you start out on your own: your time. Suddenly weekend and weekdays all merge into one never-ending cycle. You forget what it is like to go on holidays and switch off your mind. You start to focus so much on what’s not working that we forget gratitude for the little things that matter. And really they do matter. “Be fully aware of what you’re getting into - plan financially for a 3-6 month cushion so you don’t have to stress about money matters. That takes you away from having the mental capacity to really build on your idea. Be frank with yourself that every idea will not work - in fact, most will fail. That’s ok. Accept it and move on. No one else notices your mistakes that much, so don’t beat yourself down. You can see more of Auraz Design on their website and Instagram. “The year-long depression phase after I was fired was horrible. Weird destructive thoughts consumed me all day. I was surviving on my savings. I was lucky to have close friends who would patiently listen to my nonsense. In fact, some of my close friends even tried to convince the management to retain me. I finally moved to Delhi after a year in November 2015. Many people think that I shifted to Delhi for blogging. In reality, I had made the shift to start a food business which never took off. What took off was blogging. I stayed at my brother’s house for 1 year. When I started doing well financially, I moved to my own flat. Without all the support around me, it would not have been possible. His documents all his travel tales on his blog, Twitter, Facebook Page, Instagram and YouTube. IV. Shreya Thakkar | Dreamer. Adventurous. Curious. The world of finance just wasn’t for Shreya. After working for over a year after completing her MBA she decided to move out of her comfort zone to do something she had wanted to her entire life. She started StruT in 2015, a label that designs and manufactures handcrafted bags – all this without any formal training in fashion or designing. 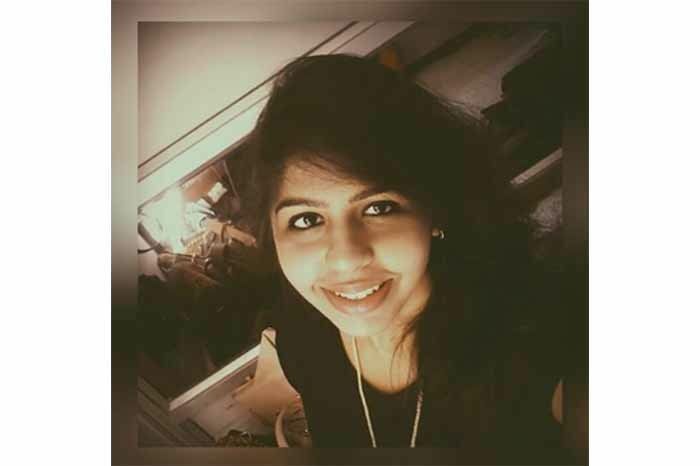 What started as a Facebook page soon turned into an offline store in Mumbai and Shreya has also expanded the product range to include flip-flops and shoes. “The regular monthly paychecks in my bank account weren’t enough of a motivation to continue. At that time I thought it would be exciting to start something on my own, and hence, after a year and a half of corporate experience, I started with StruT. An urge to ideate about your creation, to not follow a 9-5 ritual, to be your own boss, and to do something different made me start my own venture. I never thought of becoming an entrepreneur but accidentally became one, shuffling the letters of my life from Finance to Fashion. From childhood, my favourite accessory has been Bags. I always used to end up buying more than 3 bags during Bag shopping trips. My love for bags made me decide to try my hands at their creation. Initially, I started with buying 20 readymade bags. I had decided on one thing that even if no one buys those bags, I will keep them for myself. Fortunately, all of those 20 got sold to friends and family in a week’s time. People liked the collection and asked for more variety hence I decided to explore in this field. Initially started with selling ready-to-sell bags for four months finally we started with designing and manufacturing on our own and started the label StruT. Post that there was no looking back. “Dealing with the unknown, was the most challenging thing about the shift from your safety net to your passion. Coming from a finance background I had no formal knowledge of fashion or designing. So, I had to learn the business of bag-making from the scratch, right from designing the bags, selecting and sourcing the right material, dealing with karigars, to deciding the price points and profit margins. Though that was the biggest challenge I faced, it also made the journey exciting. It’s still an ongoing learning process. “If you are adding value to society or solving any problem while pursuing your passion just keep going and follow what your inner voice tells you to do. Don’t give up. Success has to come your way. Find what you truly love to do, because if you will do something aligned to your interests and passion, you will do a lot of it and will excel at it. Don’t wait for the right time, as the right time is NOW. For more information you can check out her Facebook and Instagram. V. Nayan Gupta|Persistent. Adventurous. Ambivert. A Computer Engineer by degree, from a highly reputed engineering college, Nayan quit her job in 2015 to start Sugar Deli, a home-based pastry shop. She took formal training at Le Cordon Bleu, Paris, and enrolled for the Diplôme de Pâtisserie program. Having interned with Chef Cyril Lignac, she gained a wealth of experience and affirmation to pursue pastry making as a career. “I was working as a Software Engineer at Cisco Systems (one of the dream IT companies) in Bengaluru. It was a new environment and I tried to learn as much as possible. Since I wasn’t interested in coding, the work became monotonous and I used to spend days wondering what I would be baking that weekend. Despite this, I gave my 100% to my work and was the only campus graduate hire to be given a raise within a year. But there came a saturation point wherein I realized this was not what I want to do and I decided to quit my job to pursue baking. Check out Nayan’s delicious creations on Instagram. Growing up in a typical South Indian family, Vineet’s focus was made to be directed towards educational excellence before the creative drive. With a degree in commerce and a diploma in advertising and brand communications, he began working as an Instructional Designer at a big corporate. During this time he also completed and released his debut rap album, releasing in the process that he was always meant to rap. 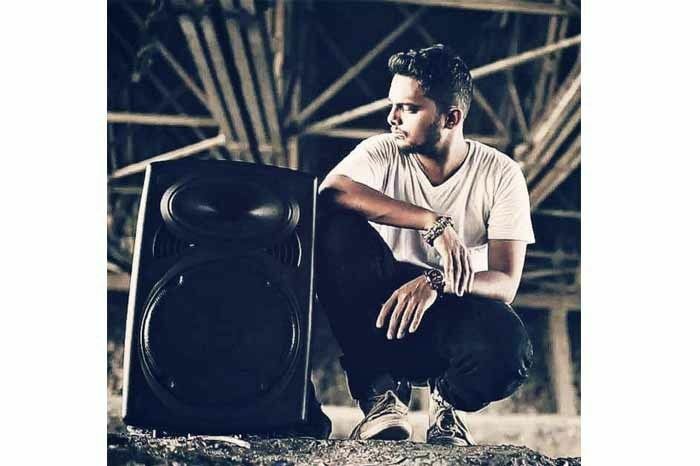 It has over a decade now that Vineet has been part of India’s hip-hop scene. He co-founded the country’s first rap battle league and a part of the hip-hop collective SlumGods, popularly known by his stage name Poetik Justis. “Accenture was my entry into the corporate world and I was blessed to have this job that people basically dream about getting. It was a dream job for me too and I guess you could say I was lucky to have that job. It was a learning process for me because I had negligible experience as an instructional designer. But in time, I adjusted to the corporate culture well and had my creative side on the sidelines. It was because of the job, my colleagues and managers at that job that I learnt a lot about the corporate world and their support meant a lot to me. In a way, they understood the balance of me being a creative talent and a 9-5 worker. Though the timings weren’t flexible, depending on what projects I was working on, I could choose my own methods of working. “Coming from a middle-class family living in Bombay, it’s a blessing to be able to even pursue this dream. Not many families allow their kids to pursue their dreams and ambitions freely. My parents have put their trust on to me and all I could ask for was their support. My girlfriend, Dee MC, is a great femcee and she’s been there by my side since the start too. I’m grateful for the time that I’ve been given and the fact that I didn’t have to look after a lot of things in my life because my family was equipped to deal with them. I want to be able to do that for my own family (including the people I’ve been on this journey with) in the future and that’s what this passion means to me. It’s bigger than just me and my music, this is about the lives we change as creators, including our own. I think financial stability is always going to be the number one thing that I had to sacrifice. Breaking out of the comfort zone of a fixed 9-5 income isn’t always easy and most people have a plan. It’s only when you step into the real world and work on the plans that you realize which ones work and which ones do not. “If this passion is something that you’ve wanted to do ever since a kid. If this is what makes you feel alive more than anything else. If you’re ready for all the self doubt, the guilt trip from family and friends, for big wins and sometimes bigger losses. If you’re ready (most people think they’re ready) for the sleepless nights, for the days where you will feel like the world is moving 10 paces faster than you are, for the even worse days where you might not see income for a whole month. If you feel this is all you wanted to do in life and you believe that you can be great at this thing you want to do, then go for it. Take your time in planning the move, scout for options and monetary opportunities with regards to your passion, and if you find one or if you’re in a position that you can create one, go for it. We’re not promised tomorrow and we have to at least try. Can’t be on our deathbeds with regrets. VII. Harini Iyer | Resilient. Hustler. In-betweener. 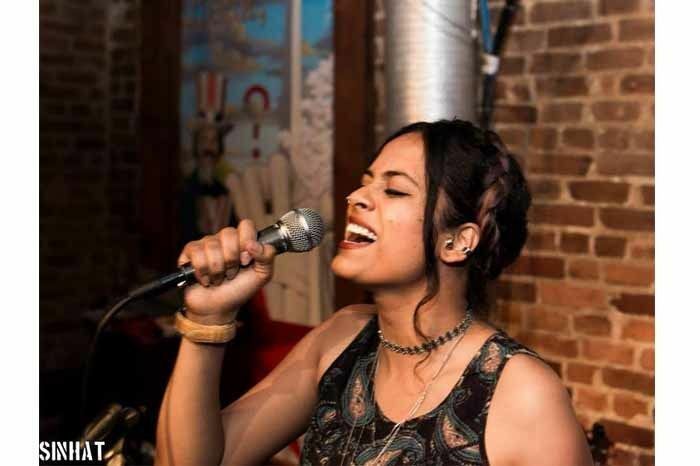 Music had always been a part of Harini’s life growing up but never really thought much of it as a serious career choice. Instead, she graduated with a degree in Electronic Communications and Masters in Engineering Management and worked as a Business Analyst with an IT firm in Arlington, USA. She quit her job to fully focus on music, studying at the prestigious Berklee School of Music. “Gavin Aung Than of Zen Pencils was a huge influence on me quitting my job and following my passion. I read/reread his motivational cartoon art every single day for almost a year. I now have a poster of one of his work, ‘The Calling’ on my wall that I️ wake up to every day! Musically, I am inspired by artists from different genres. I love Bonobo and Glass Animals. I follow a lot of Australian artists - Chet Faker, Tame Impala, Hiatus Kaiyote, Flume. I’d love to work with ARR, Nai Palm, Glass Animals and Simon Greene someday. I am trained in Carnatic music, I grew up doting on Bombay Jayasree, TM Krishna and Aruna Sriram and draw inspiration from them. “Even with a comfortable job and lifestyle, she felt something was missing and started working long hours, keeping herself busy to ignore the restless bee buzzing around in her head. She began working on her music in the evening, juggling 9-5 at the office and collaborating and performing with other musicians at night. When her day job got too hectic, overtaking her attention and day. “I have a supporting family and I have a few close friends rooting for me. And last resort, I can go back to being a business analyst/ developer if needed. You can check out Harini’s work on Facebook, Soundcloud and Youtube. VIII. Debojyoti Nath | Peace. Love. Mountains. From being a Producer/Programming Executive at Radio City 91.1 FM followed by being Social Media Manager at ScoopWhoop, 32-year-old Debojyoti is today known as The Busking Man. In 2015 he embarked on a journey to busk, perform in public spaces, in all 29 states of India, spread the message of love and peace through music and encourage other artists to make the streets their stage. He currently works for an NGO called Music Basti where he teaches music and life skills to at-risk and underprivileged children. “My passion for music goes back to when I was in school in Shillong and was surrounded by music everywhere. My family was also very musical. I taught myself how to play the guitar because I loved the guitar and sing. It was the first time I indulged in something I loved dearly and was completely obsessed with it. Throughout the years I have played and sang at school and college competitions, fests and galas. I continued to play for myself, my friends and on stage. I choose a job at the Radio Station also because it had something to do with music. Throughout my 4 years there, I kept making music all along the way. Then suddenly without warning, in 2011 my father passed away at the Sikkim earthquake. I lost the biggest mentor of my life and was left feeling completely lost. Even during those times, music was the only way through which I could release my pain and find some solace and peace within. Since then, there has been a drastic change in my life. 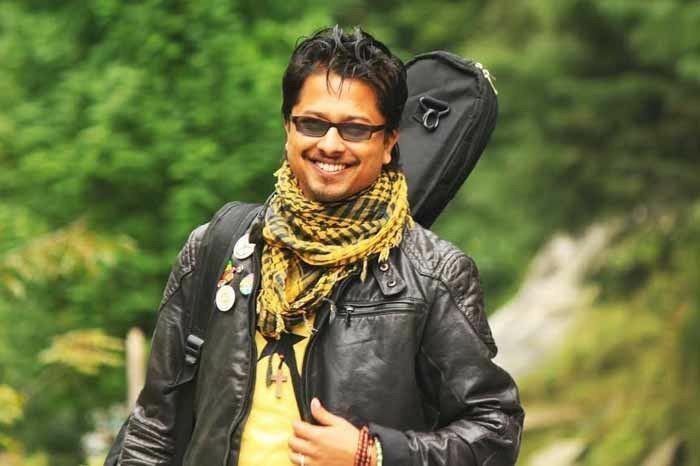 Much later, when I decided to quit my job and started to busk all around India, I felt complete and finally, I felt that my life had a meaning and purpose. I was never very money minded and naively gave more importance to personal satisfaction in life. After taking the leap to busk in all the 29 states of India, a lot of my perspectives changed. I found immense satisfaction in making people smile through my music. It brought me inner peace. I also felt the urge to do something about the way the world was heading towards mindless violence and atrocities and felt that I had to do my part in spreading the message of peace and love through music. “I consider myself very lucky to have a supportive circle of friends and family. After losing my father, I was shell-shocked and didn’t know what to do. But thanks to my father’s intelligent and planned investments and savings, I knew my mother would get by and I didn’t have the huge burden to provide for her. Also, I have an incredible group of friends who have supported me and my dreams. They have continuously encouraged me and continue to do so. My flatmates are my extended family and without them, I wouldn’t have been able to live in Delhi and pursue my music. I am also extremely thankful to all the people who helped crowdfund my journey and also those who provided me shelter to couch-surf and to all the people who sent donations. I see so many people and friends of mine desperately wanting to break out of their jobs or their current life but they are not able to do so as they have to provide for their family or have certain obligations. So I feel extremely blessed that I can do what I love and believe in. You can follow The Busking Man’s journeys on Facebook, YoutTube, SoundCloud and Instagram. IX. Pragya Bhatt |Committed. Relentless. Persistent. A Software Engineer by profession, Pragya worked for over 8 year in the industry before she decided to give it up for yoga. Having been a yoga practitioner pretty much all her life, she went from writing code to setting up The Yoga Practice. “I started my career in Infosys as a Software Engineer (like 99% of people in Bangalore). I worked there for 3.5 years until finally moving to Accenture, where I worked for another 3.5 years. I met some really intelligent people through my years as a Software Engineer, and I’m in touch with many of them. I think Infy is like this storehouse of talent and it’s just amazing...but my heart wasn’t in it. Even in college, I knew that coding didn’t light my fire...and I knew intrinsically that my life’s work lay somewhere else. I really didn’t see myself sitting behind a laptop for the rest of my life being just a cog in the wheel. I’d gained about 15-20 kgs sitting behind the laptop, and that’s when the usual gym-binge dieting routine began. I became this compulsive gym rat. In fact, while I was onsite in the UK, I would brave the bitter cold to get to the gym before starting my day at work. I did lose weight, but the cycle of reward and deprivation of most fitness routines did not resonate with me. On my first day at Accenture, the girl sitting next to me told me about a yoga class that she was going to. The next day I went to a trial class, and since then I’ve been doing yoga every single day of my life. This was in 2009. But I’ve always been doing yoga. There’s a book on Hatha yoga which has been on the family bookshelf ever since I can remember. While in Brazil (the early 80s, I must’ve been around 10), we used to hang out a lot with the Hare Krishna community and they had yoga there. When I went back to yoga as an adult, it felt like going home and it was very comforting. Weight loss was an added by-product. “My support system was a combination of my savings, my network and my engineering degree. My parents weren’t too keen on me quitting a good job to do something that they don’t even consider a career. They felt it was a waste of a good brain and hard work! In the beginning, I dug into my savings for the essentials. I advertised myself in all my networks, virtual and otherwise. At the end of the day, I knew I had a degree which would get me a good job if I wanted/needed to go back. It certainly helped that I had no other financial liabilities, such as kids’ education and home/car loans. “The first thing you need to consider seriously is that you might really enjoy something, but might not like the process of making money through it. So being in love with the practice of yoga doesn’t necessarily mean that you will enjoy teaching it. You might also have a very rosy view of spending every day immersed in something that you find fun right now, but when you have to make a living out of it, things are very different. At the end of the day, you are still thinking about how to do well, how to come out on top of the competition, how to provide value in a market where there are so many equally good, if not better (to your mind) people. See if you can test the waters by pursuing your passion part-time. You can contact Pragya through Facebook, Instagram and her website.